Years ago, it was the human resource department’s duty to explain employee benefits and assist employees with enrolling in their group plans. Things were usually straightforward, and plans were easy to understand. Employees could select from one of three plans that included a progression of price points and perks—from managed care plans to more flexible benefit offerings. Now, with all the complexities of employee benefit and plan design, combined with ongoing changes to benefit legislation, it takes someone with a deeper knowledge of benefits to ensure employees are receiving the right information. It is one reason why more companies are turning to an outsourced model that connects employees with a dedicated employee benefits administrator. Benefits administration can be complicated and since it constantly changes, having a single point of contact person who can answer all questions is a huge plus. It means employees can ask about their benefit choices, get help with medical claims, and make changes to their group plans year-round, without tying up the HR department or experiencing delays. Employers can benefit from this too because they can direct all concerns to this point of contact anytime. There are many advantages to being supported by a knowledgeable benefits administrator. As laws change rapidly around benefits, a person who is 100 percent dedicated to staying on top of these things is the key to reducing risk. It is also someone who can advise employees on making the best choice for their needs, based on historical data and industry demographics. A more informed health care consumer is a smarter one when it comes to their health care spending. Benefits administrators carefully analyze the use of benefit types and can help anyone get more for their healthcare dollars. While an HR generalist may only have some information about benefits, a professional who only works in benefits administration has a broader view of what options are out there and how to get the best use out of benefits. Additionally, a benefits specialist has received industry training and must maintain certification, which means ongoing education. The annual open enrollment period can be very stressful for human resources to deal with alone. It takes months of planning and budgeting to prepare updated employee benefit documents, and choose plan types that make the most sense for employee needs. Open enrollment must be marketed heavily to ensure that employees participate during a brief window of time when they can enroll in new plans and make changes to their existing ones. A dedicated benefits administrator can help take some of the pressure off the HR team so they can focus on other efforts. They can track enrollment and support the communications with employees. An advantage of having a professional benefits administrator on board is the ability to work with someone who has many connections in the industry. These connections often equate to big savings for companies because they can get connected with healthcare plans that are low cost and high value. 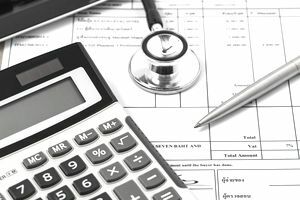 Some benefits administrators are part of associations that can give direct access to flexible health care plans that cost pennies on the dollar, as well as supplemental plans that are easier on budgets. One of the biggest issues that employees have is getting answers about their health care plans. Many times they just want to know how they can save money on medical costs. Other times, it’s because employees do not understand how to read and interpret their employee benefit plan documents. A singular point of contact can help to alleviate the stress that people have over their benefits and health care needs. Very often they can also help employees to reduce stress when they cannot find answers elsewhere. Benefits administrators also have information about other services that can help employees who are facing difficult health challenges. There are many companies that offer employee benefits outsourcing on a contract basis. Sometimes, independent human resource professionals will offer their benefit expertise on a binder agreement or agree to work during peak periods like during open enrollment. Benefit companies also provide some support which can entail customer support during enrollments or when there are medical claims to process.